Time to show some class! Sponsored again by the indomitable Dave and Jules from Northants V-Twin, this ride-in Show gives anybody the chance to rock up on their bikes and take their place in the spotlight. Is your custom motorcycle, be it chopper, streetfighter, lowrider, or street tracker, cool enough to make the grade? It’s time to find out. Turn up, ride in at the Banbury rd. end of the High Street and take your chances to win a prize and thunder around our parade ring with your peers. Trust me, this is a unique experience and a pose beyond measure. Please join us and have a piece of the fun. 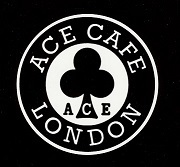 Ace Cafe are back and once again proud to sponsor the 'Best in Show' Cafe Racer at the 2015 Festival. TV star Henry Cole & Guy Willison will be joining us at The Brackley Festival of Motorcycling on August 16th. Bringing with them the Gladstone No.1 and the land speed record bike the "Redbeard". We are very excited, come join us and talk to Henry and Guy. Clockwork Orange Motorcycles are a happy little crew of builders that were new to me until I saw some of their bikes at The Happening last September. The quality was obvious straight away, and I didn't hesitate to invite them along for the Festival this year. A lovely Triumph Bobber and a stripped-down Suzuki GS550 done in the fashionable "Wrenchmonkee" style showed real class then, I wonder what they will bring this year? IDP are a small local firm on the Silverstone Circuit that, when not busy servicing, race-prepping or generally loving your pride and joy, build some very fine, bespoke motorcycles. Do you want to name-drop some customers? Try Carl Fogarty, Jonathan Rea and Steve Parrish for starters. Daryl Young certainly sets his standards high, and his one-off flattrackers, Café Racers and Bobbers will stand with the best of the current builders working today. IDP Moto will be displaying in the specialist builders area of the Festival, which will probably be on the Piazza area of the High Street. P&D Cycles have been building custom motorcycles in this country since God was a boy. Dave Batchelar started at the very earliest days of the scene in this country and his work has continued with his new partner Chris Nichols in the same top-class vein. P&D bikes have graced the centrespreads and front covers of magazines, and taken the prizewinners podium of all of the major shows here and abroad. A few of their more recent builds are attached here. They will be another of our exhibitors in the specialist builders area. Splendid news! Lamb Engineering are returning again to the Piazza, bringing yet more jaw-dropping bespoke motorcycles. For those that missed them last year, Larry's bikes have travelled the world, (and America) and scooped about every prize and accolade going. The craftsmanship and eye to detail begger belief. Not only that, Larry's bikes run as well as they look, and who can forget the sound of Larry's Jap Bobber bellowing up the High Street? Take a look at these amazing machines, and come along and see them in the flesh, and have a chat with their creator.